There are weekly Jamkids classes for 0–6 year old children in English in our Jätkäsaari, Tapanila (Helsinki) and Leppävaara (Espoo) locations. You can find the schedule for Helsinki here and Espoo here. Most of the songs and nursery rhymes used in these classes are in English. All the other Jamkids classes are held in Finnish. English speaking children and parents are welcome to join the Finnish classes; the teacher will help and explain the most important matters in English as well as in Finnish. This is a great way to learn a new language! Children experience the joy of learning and playing music together in Jamkids classes. All children between 0 and 6 are welcome to our music play school. 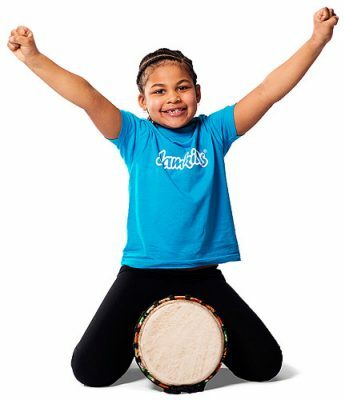 Children will explore the world of music in various ways, learn important social skills and have fun at Jamkids. 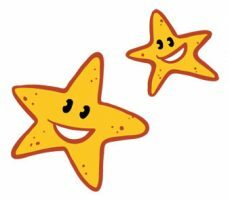 Our aim is to make the weekly Jamkids lesson the highlight of the week for the children. We also support children’s comprehensive development. Playing instruments, singing, moving to music, learning different rhythms and nursery rhymes, playing games and listening to music. 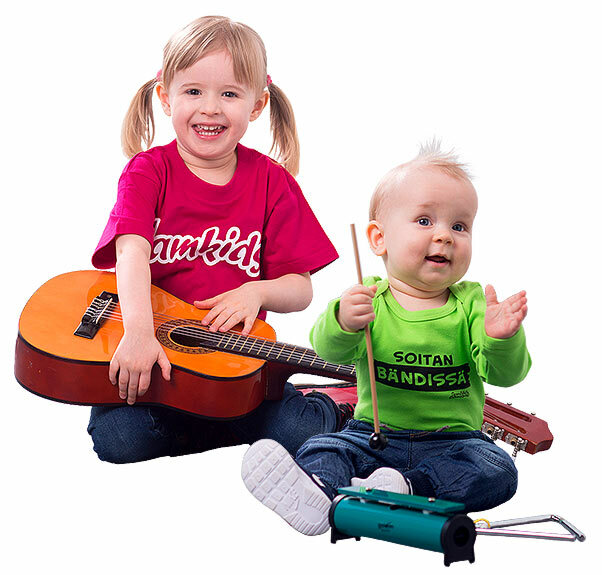 Learning basic musical skills in a fun and inspiring way, and according to the child's age level. New and familiar children's songs and nursery rhymes. Our teachers are professionally trained in music and education. We have classes in 21 locations in the capital area (Espoo, Helsinki and Vantaa). We also operate in Kirkkonummi and in Lohja. All our locations are well situated with good public transport connections. Staff (henkilökunta) contact details can be found here. We are happy to help you in choosing the class! Please send your enquiries by email ilmoittautuminen@jamkids.fi or call our customer service at 0400 944 222. Our autumn term includes 15 lessons and spring term 17 lessons. We organise a concert on the last lesson of both terms. However, the concert is not part of the educational plan for the baby and 1 year old toddler classes (14/16 classes). Registering for participation is binding for the whole school year. We also accept new registrations mid-term depending on the availability. Mid-term registrations will be invoiced according to the amount of lessons during the rest of the term. If there are available places in the classes, it is possible to test a Jamkids lesson once. We will then invoice the test lesson only. Please notice that the pre-registration is always binding. Please notice that the registering is binding for the whole school year. A cancellation of registration must be done four weeks before the term starts in Eepos registration system. If we receive the cancellation less than four weeks before the term start, 50% of the term fee will be invoiced. If we receive the cancellation once the term has started or is ongoing, 100% of the term fee will be invoiced and there is no refund for missed lessons. In case of illness or unexpected life events we are willing to negotiate the fee.